One of the most beautiful countries in Europe, splashed by the waters of the Aegean Sea is, of course, Greece. Most people may know it by the breath-taking beaches and wonderful cities, but the real treasure lies in the Greek islands, which are a destination one shouldn’t ignore. Greece is like a Heaven for islands, as it has thousands of them sprinkled all over the sea. Can you believe it? And they are all different in their own way. Although, only between 166 and 227 are considered as inhabited, they’re enough to make one’s holiday unforgettable. They are traditionally separated into clusters creating a unique plethora of small and big islands all over the waters kissing Greece’s shores. It’s impossible to find some fault in all of these islands, having in mind their richness with nature, tradition, and historical monuments. From the dreamy small towns rising from the sand, sunsets over domes, parties on the beach to breath-taking scenery and volcanoes, they represent a dream come true for all tourists. As much as you think that you have seen it all, there are a lot more things that are yet to be discovered. It’s how the Greek islands are painted by Mother Nature – with picturesque shores, narrow streets with cobbles that are silent witnesses of the past, sand beaches that stretch for miles, the hot and crunchy sand pleasant beneath your soles as well as the turquoise, clear waters full of amazing species of animals and perfect for a swimming adventure. 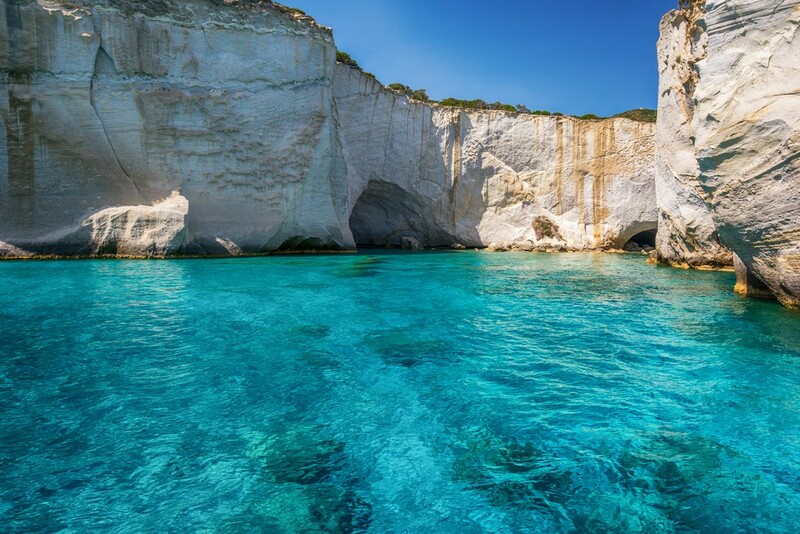 What is more, almost all Greek islands have that scent of mysteriousness around them, mainly because of the rocks surrounding them or the abandoned cliffs and bays. In any case, they are a true miracle on Earth. In recent years, as the islands gain popularity, they have become adored holiday destinations for many travellers, leading to the building of the huge hotel complexes, the development of water traffic with boats coming and going off the islands all the time and the crowds of people roaming the streets. They are no longer places for lonely visitors, but rather attractive and hot locations in the summer season. A great deal of that popularity is also in the hands of the friendliness of the locals, the parties that are more and more frequent on the beaches and, of course, the beauties the Greek islands are wealthy with. If you’re one of those travellers, who would like to try something new and make their holiday worth remembering, then keep on reading. I will present to you the awesome Greek islands you can visit without spending a fortune. So follow me! Here are all the champions in the race of the most beautiful yet affordable Greek islands. 1. Milos – There isn’t a bigger surprise for adventurers than the island Milos in the Western Cyclades Island chain. 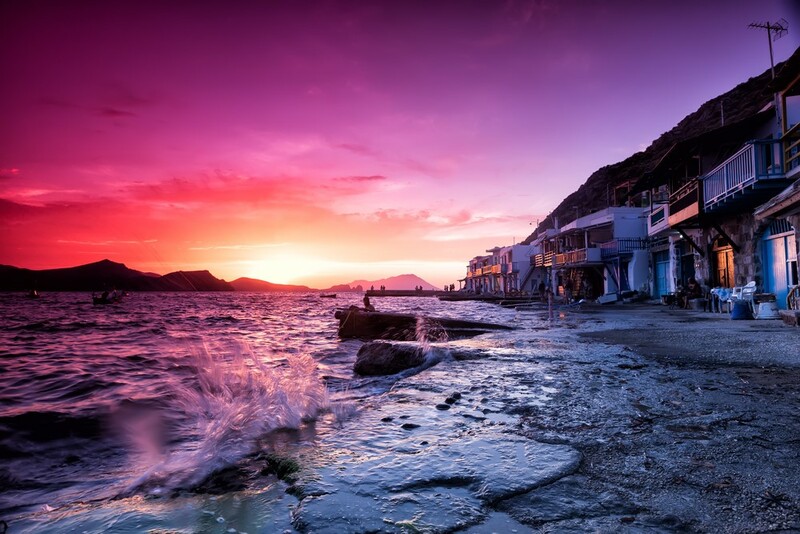 Apart from the rich history and gorgeous beaches, Milos can brag with its magnificent sunset views, excellent food, kind people and cute Cycladic villages. And not to forget the unique landscapes that the volcanic activity has gifted to this island. It’s definitely a gem that you must visit especially if you’re more of the quiet islands type and want to have the time of your life. See everything connected to this island here. 2. Crete – Welcome to the King of the Greek islands – Crete. It is the largest island in Greece and holds the fifth place on the list of biggest islands in the Mediterranean Sea. Isn’t that awesome? After this, it’s obvious that you can do a bunch of things here. Explore the sandy, long beaches, admire the left-overs of the fantastic civilisations, climb the astonishing mountains, rocks and also try out the wonderful foods that will leave you hungry for more. 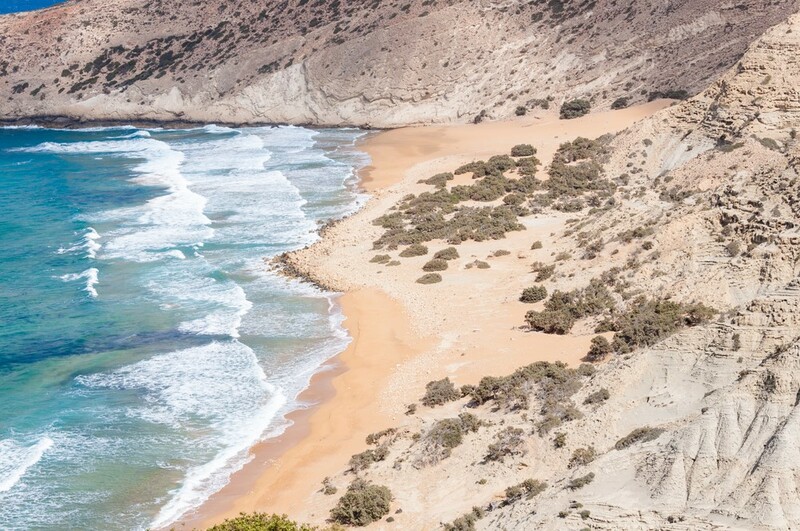 In one word, Crete is a pouch full of treasures and beauties waiting to be discovered. 3. Corfu – Another among the most beautiful Greek islands is Corfu. 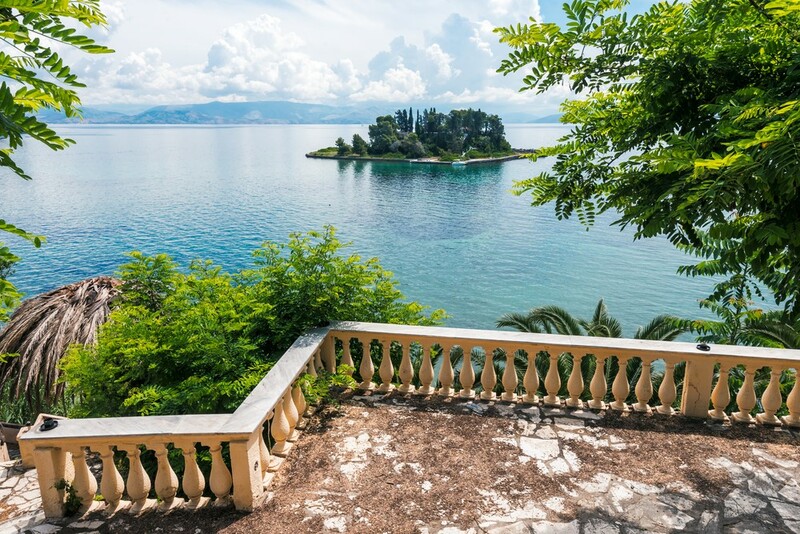 This island is the perfect choice for history lovers as it has multiple temples, fortresses, Byzantine churches as well as the Roman village of Kassiopi. The whitewashed houses only contribute to the feeling of being at home and even there are times when you could think that you’re in a medieval place or in a fantasy film. Aside from that, Corfu surprises with the unique spa and mineral mud experience on the Canal D’Amour. Choose a hotel of your preference here. 4. Icaria – This mountainous island is one of the most amazing Greek islands out there. Not only because of the unbelievably wonderful green valleys and beaches but because of the nightlife, shops and water sports, Icaria is one interesting place. It represents a jewel for exploring with the archaeological museum Ag Kirikos, the monastery Evaggelistrias, the ancient ruins in Nas as well as the health resort with healing hot wells. Furthermore, you can find out more about Icaria’s rich history here. 5. 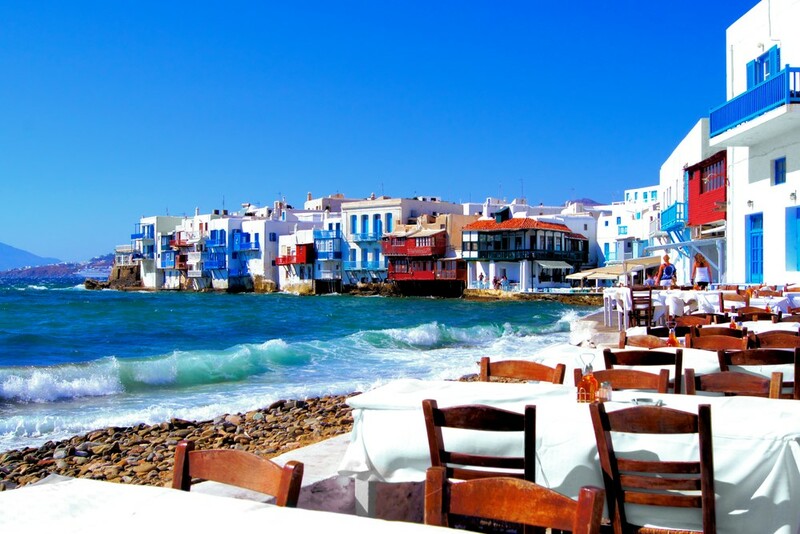 Mykonos – It is considered one of the most glamorous Greek islands and with a reason. Its biggest attraction being delicious lunches by the sea, it offers a fun experience for all tourists. It is known for the epic parties on the beaches, which attract the younger population accompanied by the richness with cafe-bars, new hotels, and restaurants with fantastic menus. The crowds of people that come with the cruise ships every day are literally restless from all the exciting things and places on this attractive island. Be one of them, yourself! 6. 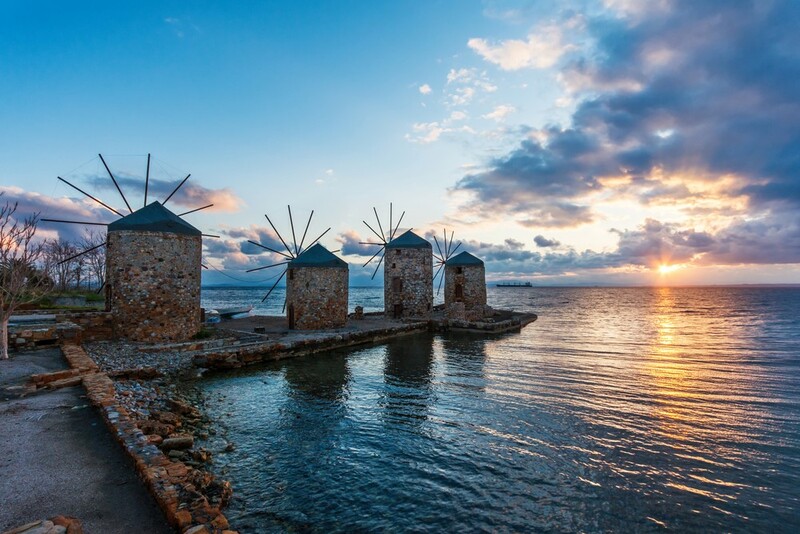 Chios – If you’re searching for a magical island from all Greek islands, then you’ll definitely come up with Chios. Even though it’s lesser-known in comparison with the others, it is more oriented on the traditional and cultural beauties. That can be depicted through the famous mastic, which can be used in paints, medicine or even food. And the buildings are like nothing you’ve ever seen with geometric patterns all over the walls that make them astonishing. Also, let’s not forget the awesome beaches, the medieval village of Mesta and the Nea Moni monastery. 7. 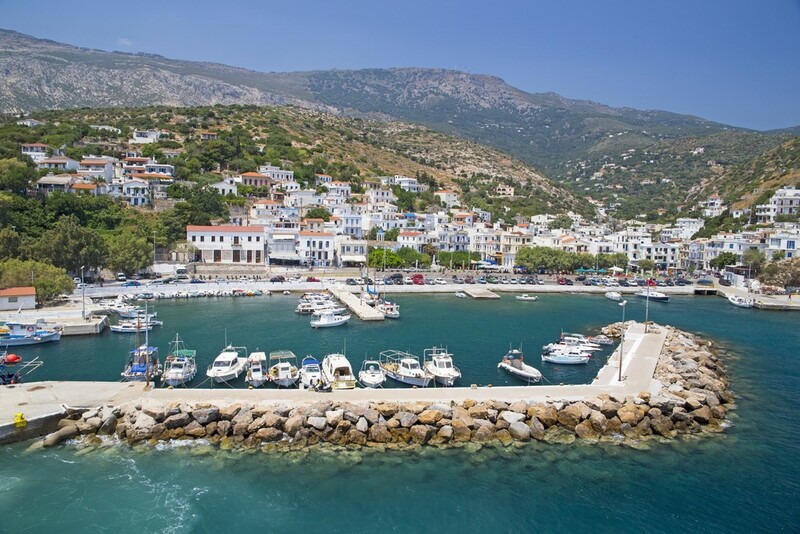 Paxi – The tiny island of Paxi has a cosmopolitan style with the ports full of yachts that arrive there during the summer. That makes it one of the Greek islands with an exotic yet modern approach. It has wonderful beaches with real Caribbean water that are a dream come true for all swimmers and divers with the clearness and turquoise blue color. What is more, there are three villages with historical architecture that speak of the tradition and customs of this small island. 8. 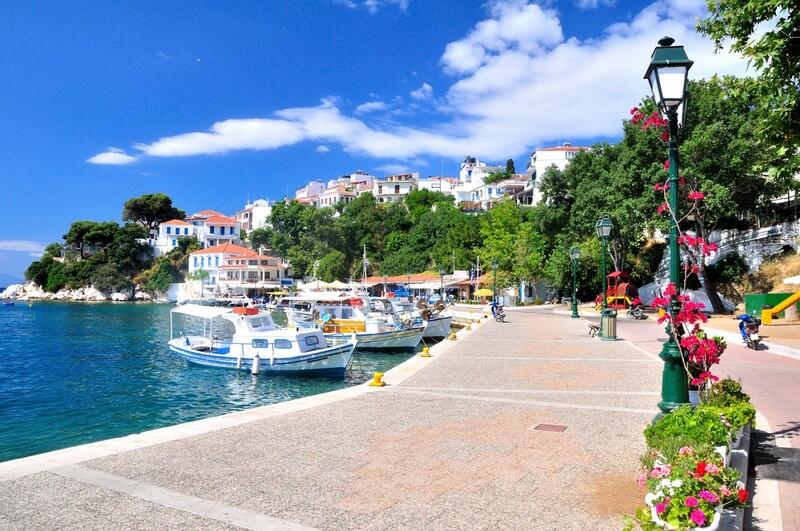 Skiathos – Some of the best beaches in the Aegean are located just here – on the small island of Skiathos. With crystal clear waters and exciting waves, they are a pleasure to all visitors. Having said that, they are sprinkled with beautiful golden sands and sleepy villages and Greek tavernas. 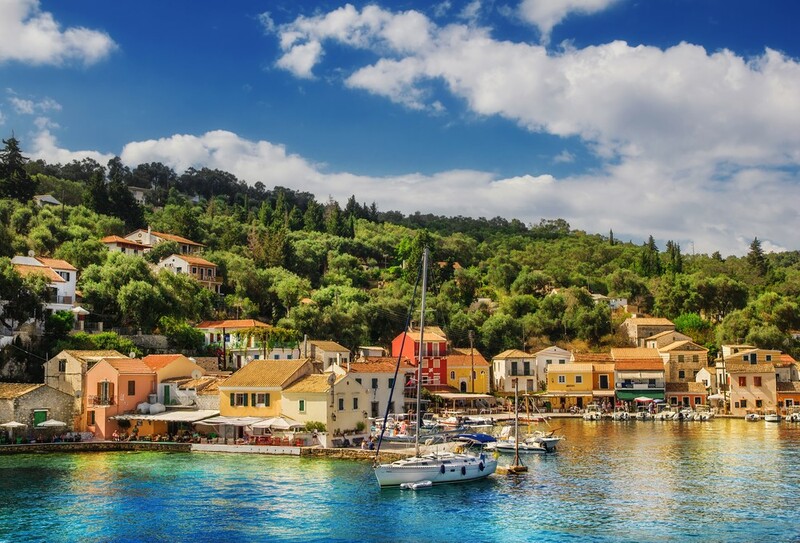 Thanks to the nightlife and designer shopping, Skiathos attracts a huge number of celebrities as well as tourists leading to the opening of gourmet restaurants, bars, and two huge harbours. So, if you’re a person for all this glitz and glam, then pack your stuff! 9. Gavdos – The most southern of all Greek islands is Gavdos. As it is populated with only 40 inhabitants and has abandoned villages, it is a perfect getaway for curious minds and the ones in search of utter peace from the city life. You can imagine that the beaches are as quiet, with sand dunes, steep rocks, flowers and sometimes even animals such as goats and birds. Usually, it’s a very warm place, making it a paradise for naturists. Moreover, there are a lot of unique plants as a proof of that. All in all, nature is Gavdos’ main asset that will wow you. 10. Hydra – This is the gem of the Saronic Gulf and is very original among the Greek islands for the simple reason that it’s a no wheeled-vehicle zone. That means no cars or scooters – only you exploring the untouched nature all by yourself. From the stone architecture, cobbled lanes, rocks to the primitive paths, deep waters, and the stunning harbour. Furthermore, if you haven’t learnt to ride a donkey or a mule, Hydra will teach you as precisely these two animals are the main means of transport around town. 11. 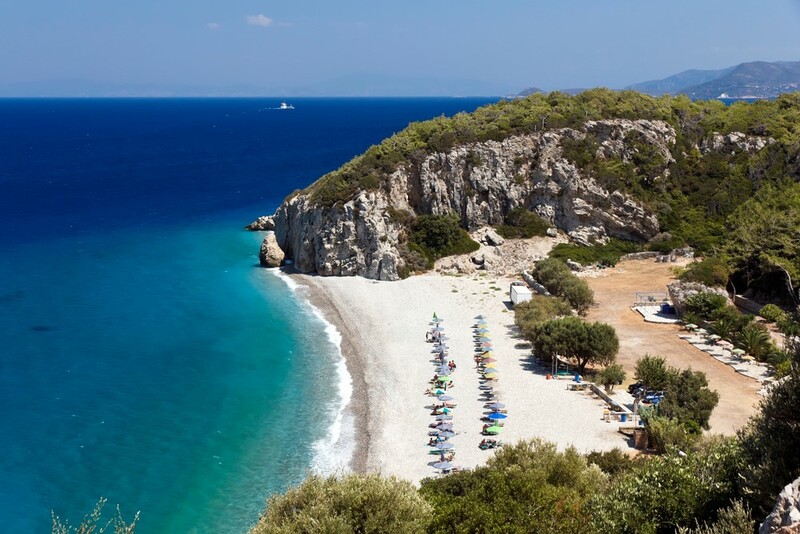 Samos – The northeastern Aegean island of Samos isn’t one of the most famous destinations by pure chance, I’ll tell you that. You may wonder what makes it so special, but the answer is quite simple. The high-profile resorts and hotels are nowhere to be seen, the beaches are just the right spots in the peak of the summer season, offering you freshness and coolness beyond imagination. The capital, Vathy, is buzzing with life and so are the forested mountains. Another great landmark is the local wine that has a massive historic background. You missed Thassos, amazing, small island with very few visitors and very impressive spots. We’ve just been there (and wrote about it in our web), take a look! Great suggestion. I’m glad you had an excellent time there. I’ll make sure to include it in my next article about Greece. Thanks for reading and commenting. I’d be grateful if you could check out our other writings. And by the way, your post about Thassos is amazing! Way to go! Thanks! We need to explore the other Greek Islands too. Coming from an island in the Canary archipielago I understand how a group of islands can be completely different! Great article! It covers diverse islands for different tastes! 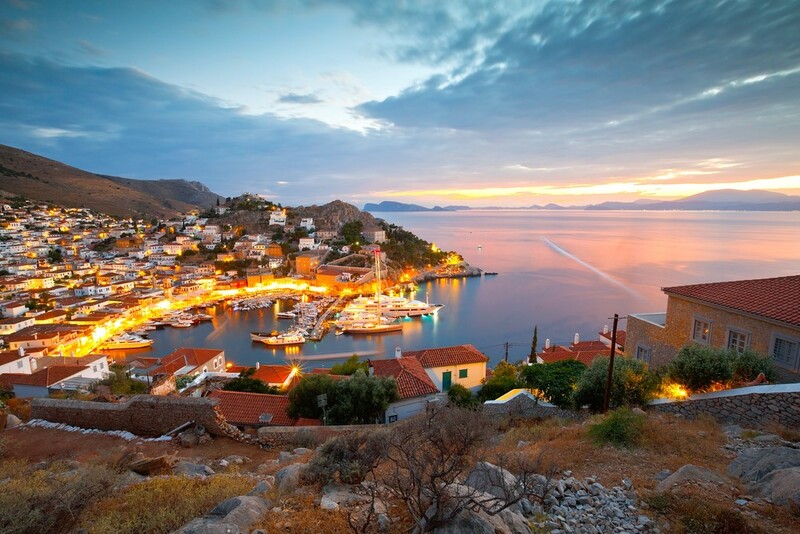 Kythera, Samothraki and Kastellorizo are also great suggestions!